The first non-European pope in over a century, Francis has not hidden his concerns that the old continent is not living up to its history. VATICAN CITY: Pope Francis will meet with European Union leaders a day before a special summit marking the 60th anniversary of the bloc's founding treaty. 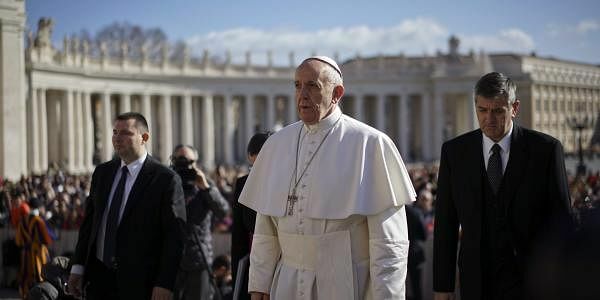 The Vatican announced on Friday the audience will be held March 24, the eve of the summit marking the anniversary of the 1957 Treaty of Rome, which created the EU's predecessor, the European Economic Community. The evening meeting is expected to be public. The pope previously addressed EU leaders in May, when he accepted the Charlemagne prize for promoting European unity. In his acceptance speech at the Vatican, the pope warned against the temptation to put up fences to ward off newcomers, saying he dreams of a Europe where migrants are welcome. The pope will be away on a trip to Milan the day of the March 25 summit.